What could be better for escaping the urban grind and the machinations of Sarah Jane’s Moriarty than a drafty Gothic mansion? Actually, city slicker Josh could think of several options. Unfortuantely for him, Sarah Jane’s been invited to get away from it all by an old friend and fellow journalist who’s retired and retreated to the mountains of Central Europe. And where better to find a major international peace conference than in a remote and inaccessible Romanian village? By an astounding series of coincidences, there’s a sinister laboratory, an amnesiac butler, a spot of murder, and, possibly, bona-fide ghosts. Josh lampshades the situation with Scooby Doo jokes, but Sarah is not amused. 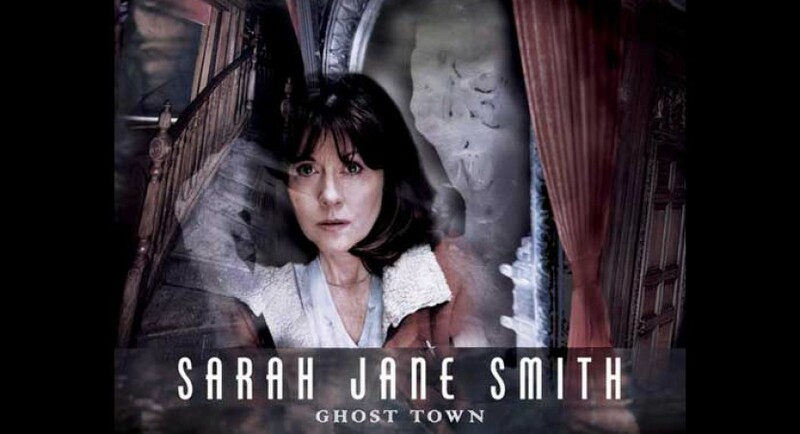 Despite the conga line of clichés from old-timey radio, Ghost Town is a nice little adventure serving as a breather between two pivotal stories in the season’s arc. Once again, Sarah plays a dangerous cloak-and-dagger game, investigating a mystery whose roots extend beyond the immediate threat to the shadow-organization that’s been hounding her for months. Lingering tension between Josh and Sarah adds a tasty garnish of snark. Somewhat two-dimensional guest characters include a sympathetic American couple (real accents), Dmitri the Igor-like amnesiac, and a smarmy villain cut from the same mold as Mr. Harris. The standout guest character is Sarah’s friend Yolande, a likable old dear who hosts excellent dining parties. I initially marked this audio 8/10, but upon reflection, I’ll dock it a point for the clichés. Enjoyable presentation of a not-so-original plot? I’m having a slight problem with all of Ms. Winters’ minions sounding so similar. Is this Mr. Harris, heard in SJS 1.1 and 1.3? Or someone else? (The latter) It seems like Winters is backing various dark research projects developing biological, genetic, or even sonic weapons, but why? To sell to the highest bidder? To rule the world? I can’t remember what her motivation was in the classic Who serial where she originally appeared.